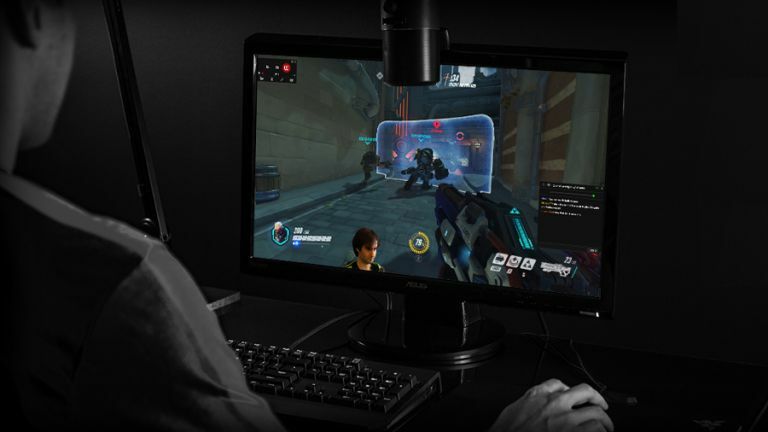 Razer has revealed a new piece of streaming software aimed at gamers and designed to make live streaming a gaming session as simple as possible. The central thrust of Razer's Gamecaster is that it's so easy to use, anyone will be able to show off how good (or bad) they are at Heroes of the Storm (or whatever their particular online gaming poison happens to be). Gamecaster allows for live broadcast to the likes of Twitch and YouTube, with an intuitive in-game interface that lets the user fire up a stream in a few simple steps. The software itself requires no technical know-how whatsoever and takes care of the more complicated bits of configuration automatically, intelligently adjusting its streaming settings based on the user's hardware and how fast their internet connection is. The result is an optimal live stream broadcast without having to think about anything (in theory, anyway). You also get hotkeys for core functions such as starting a broadcast, initiating a local recording, taking a screen grab or switching the webcam on. Gamecaster (which will be integrated into the free Razor Cortex software package) moved into closed beta testing yesterday, and if you're interested in becoming a tester, sign up here and keep your fingers crossed that you're picked. Even if you aren't selected, you haven't got long to wait for the full release which is scheduled for January 28. Gamecaster will be free to use, but with caveats – if you want to stream above 720p resolution, there will be a watermark added, and you'll also be limited to 30 fps. If you stump up for the full (Pro) version, you can stream at 1080p with no watermark, and also at 60 fps. Pro users get other bonuses such as custom overlay images, a webcam green screen effect, and in-game Twitch chat. So how much does the Pro subscription cost? Razer is charging €13.99 (around £10) for three months and €36.99 (around £27) for a year.